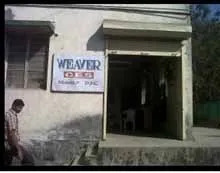 Since our inception, Weaver Computerised Embroidery Systems has made an indelible mark as a manufacturer of computerized embroidery machine. Our products are known for their accuracy and utility in diverse embroidery applications. 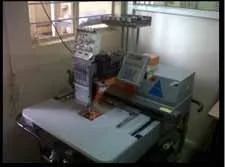 The comprehensive spectrum of our products comprises of multi needle computer embroidery machine, single needle computer embroidery machine, 3 head 6 needle portable computer embroidery machine, six needle embroidery machine, portable embroidery machines etc. 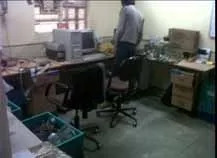 With our establishment situated at Pune, India, we are led under the dynamic leadership of Mr. Nishighandh Kulkarni and Mr. Kanan Kulkarni who have extensive experience in dealing with our range of products. Their experience in robotics, servicing and marketing imported computerized embroidery machine and the collective support of our team allow us to successfully handle the involved production processes, ensuring the impeccable quality and performance standards of our products. Manufacturing and Trading of Computerized Embroidery Machines. 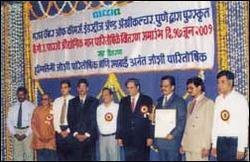 G. S. Parkhe Entrepreneurship Award (Ramabai Anant Joshi Award) by the MCCIA, Pune in the year of 2001. Fit for diverse industrial usage. Durable and long lasting performance. In addition to this, we even conduct user friendly training sessions, which helps in solving out most of the problems relating to embroidery jobwork, maintenance and other issues. Our company has a wide distribution network that facilitates our clients to avail our products within a short span of time. Our distributors are located at strategic locations in different cities across the country. They have a ready stock of the machinery to promptly meet the needs of customers without wastage of precious time. The machinism of computerised embroidery machine involves reading the computer floppy disc on which the digital embroidery design is already made and the embroidery appears on the cloth as per the digital embroidery design selected.. It has the facility to preview and select colour combination on screen prior to operation. Used for the purpose of manufacturing designer dress, table cloth -cross stitch, cushion cover, table cloth, napkin, frames etc. It has the capacity to store more than 1 lakh designs. Standard accepted -- DST format. Embroidery file of up to 1,50,000 stitches. It facilitates by checking the boundary area of embroidery prior to operation. In case of power down start point of the machine has to selected. Enables fast forward/ reverse stitches in multiples of 10,100, 1000, 10,000. Enables embroidery designs like Kachchi, Kashida. We aim to achieve total customer satisfaction. To fulfill this aim, we provide our customers with prompt and efficient after sales service through out the country on rectifying any kind of machining defect. In addition to this, our machines are preferred from the rest due to the easy availability of its spare parts.